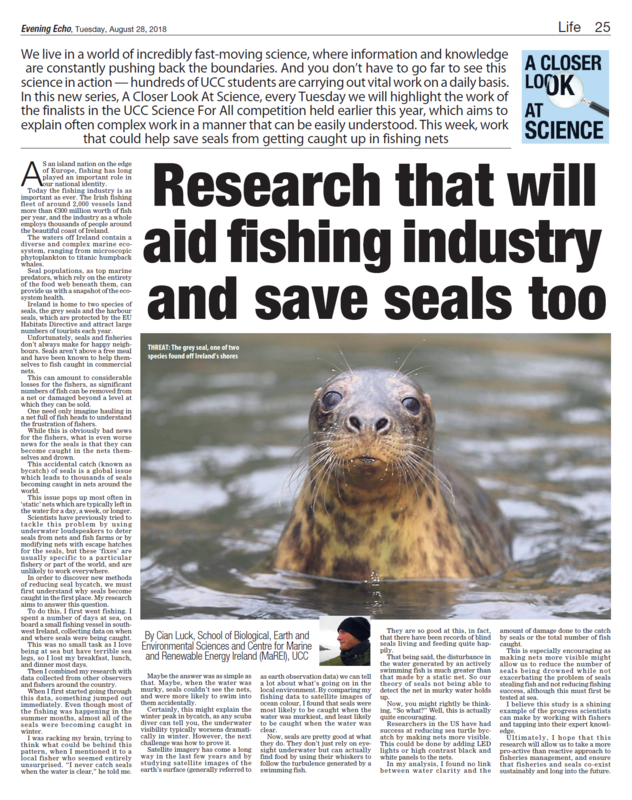 Cian hopes his research will ultimately allow us to take a more pro-active than reactive approach to fisheries management, and ensure that fisheries and seals co-exist sustainably and long into the future. 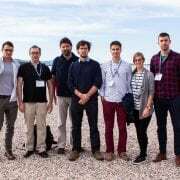 Future Earth Coasts who has an International Project Office based in MaREI had the privilege to help craft, coordinate, and deliver a capacity building workshop entitled ‘Utilising Earth Observation to support Blue Growth and Risk Management in the Caribbean’. 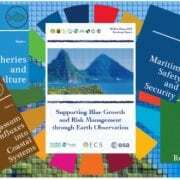 The workshop, funded by the European Space Agency and held in St Lucia, was a collaborative effort between Future Earth Coasts, the Organisation for Eastern Caribbean States (OECS), University College Cork/MaREI(UCC), and the Inter-American Development Bank (IADB) and the World Bank. The four-day event brought together experts from Member and Associate Member States of the OECS, the University of the West Indies, UCC, the University of South Florida, the Department of Environment-Belize, and representatives from the private sector, ACRI-HE. 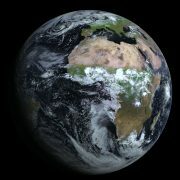 The event was designed to explore how Earth Observation (EO) data could be used to help support regional and local research efforts in four key issue areas. 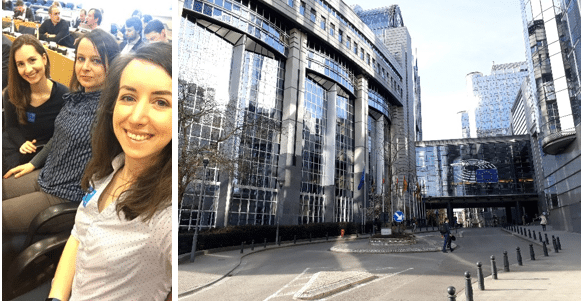 MaREI’s EPHEMARE team Kathrin Kopke and Sophie Power travelled to Brussels to attend the SEARICA conference Mission Ocean: Science and Innovation for a Healthy Ocean on the 10th of April 2018 at the European Parliament. 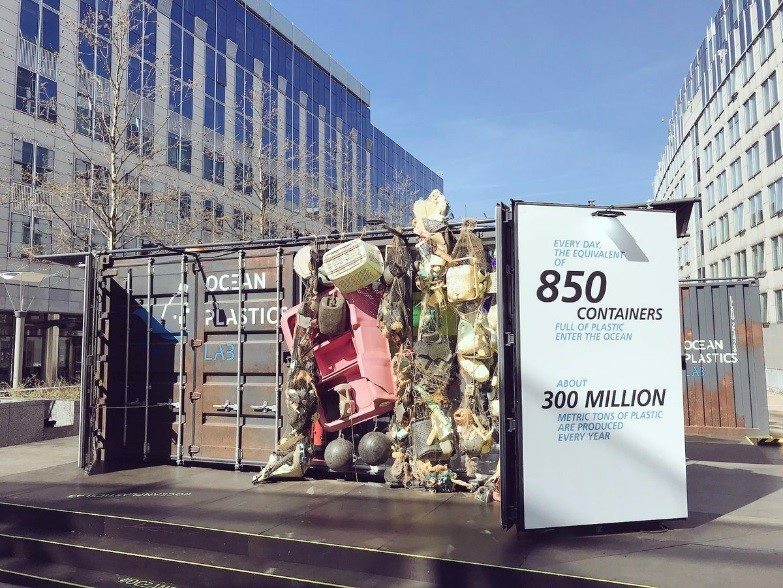 The conference focused on discussing the issue of marine plastic pollution with international and cross-sectorial guests and coinciding with the Ocean Plastics Lab visit to the European Parliament as part of its travelling exhibition. The Invitation to this event and displays at the Parliament utilised an image submitted to the EPHEMARE photo-contest which was facilitated through MaREI. 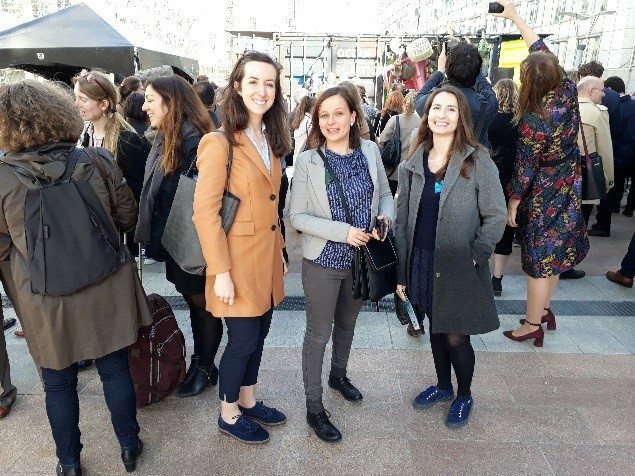 EPHEMARE researchers from left to right: Camilla C. Carteny (University of Antwerp), Kathrin Kopke and Sophie Power (MaREI, University College Cork) at the European Parliament event. 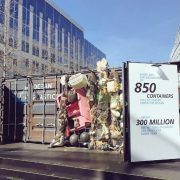 The Ocean Plastics Lab (OPL) exhibited in front of the European Parliament in Brussels from the 9th to the 19th of April 2018. 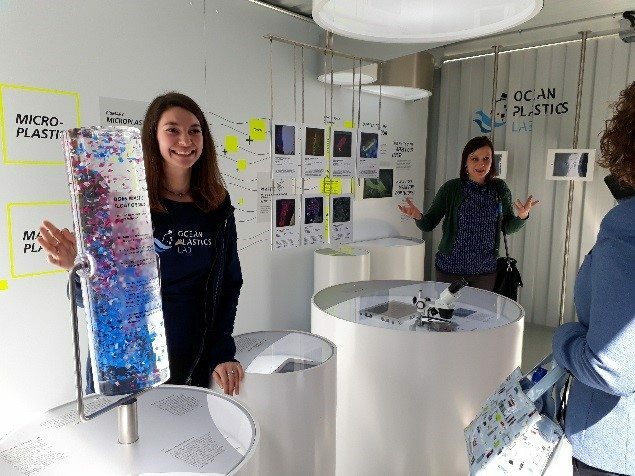 The exhibition is a ‘hands-on’ lab, showcasing the contribution of science to understand and combat the problem of plastics in the ocean, with interactive installations, displays, and animations on loan from laboratories, research institutes and various other science and civil society partners worldwide. We were delighted to contribute images from the IMPACT2017 international microplastics photo contest, which was facilitated and implemented through MaREI. 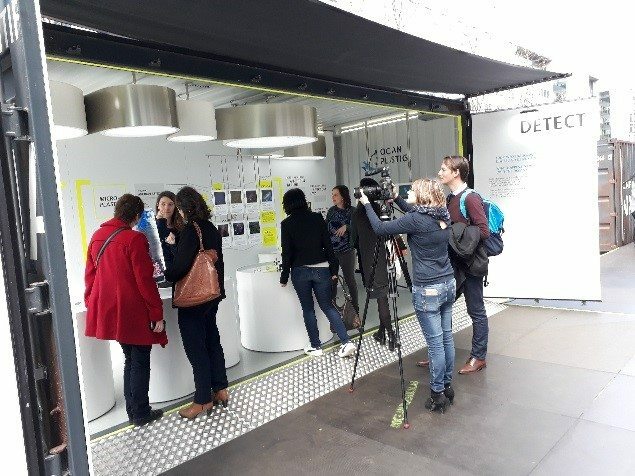 We not only got the chance to visit and explore the exhibition in Brussels, but to directly engage with attendees of the SEARICA conference at the OPL at Container 3, which exhibits the EPHEMARE contributions. 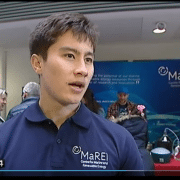 Several UCC/MaREI EO researchers attended the event to network with colleagues and gain insight to the latest developments in EO research as well as to present recent developments in EO projects and PhD research currently being undertaken in MaREI. 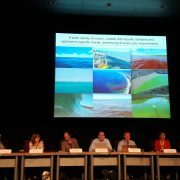 The presentations covered a variety of environmental research issues at regional, European and global scales. 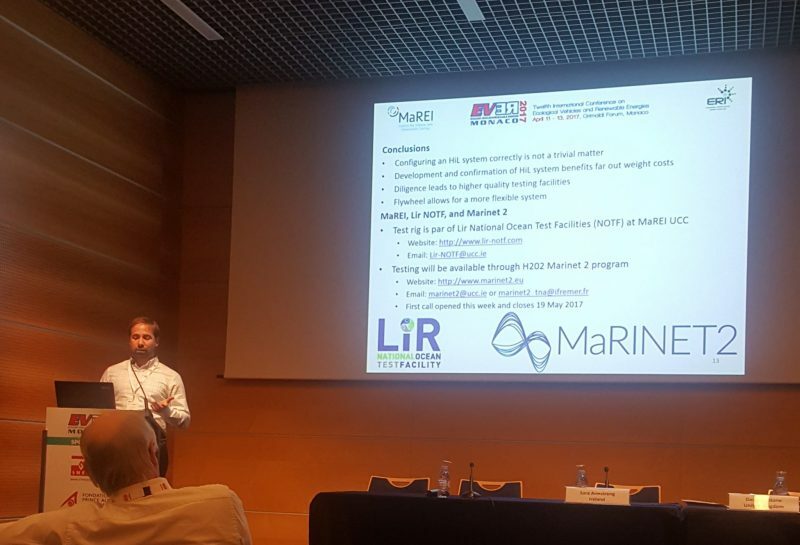 Mr Rory Scarrott (UCC MaREI, PhD student) presented progress in developing hyper-temporal EO data analysis methods in North Atlantic and recommendations for their deployment to harness ocean data opportunities. 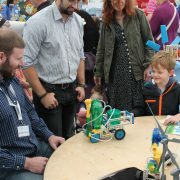 Rory’s research is being supported by the H2020 Co-ReSyF project (http://co-resyf.eu/). 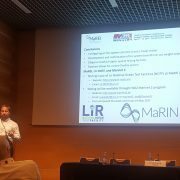 Dr Walther Cámaro García (UCC MaREI, Postdoctoral Researcher) presented outputs of the validation of the ESA CCI Soil Moisture v03.2 product using fine spatial resolution satellite data (Sentinel-1 and ENVISAT ASAR) and in-situ measurements in various European sites. Walther’s research is funded by the ESA CCI Soil Moisture project (http://www.esa-soilmoisture-cci.org/). Miss Tiny Remmers (UCC, MSc graduate) presented a poster on her MSc thesis research showcasing the potential of ASCAT 12.5 km wind product for offshore wind farm site selection in Ireland. 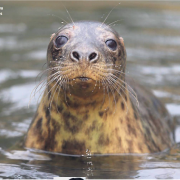 Tiny recently completed the MSc Applied Coastal and Marine Management in UCC (https://www.ucc.ie/en/cke39/). The 2-day event increased awareness of Copernicus data availability and usage across a number of thematic research and development areas. 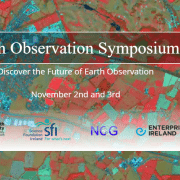 Both days also offered attendees a great opportunity to network with EO experts and students involved in a wide range of cutting-edge EO and geospatial research. 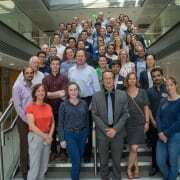 The MaREI EO and GIS Applications Group would like to thank Conor Cahalane (NUIM) and the IEOS committee for organising this inspiring and successful event. In July, MaREI researcher Abigail Cronin set sail from Dublin port on the RV Celtic Explorer as part of a scientific crew of nine. The team consisted of three Marine Institute (MI) personnel, two Training Through Research Survey scheme (TTRS scheme) participants, one BEAMS participant, three scientists from the University of New Hampshire (UNH), and the full Celtic Explorer crew. 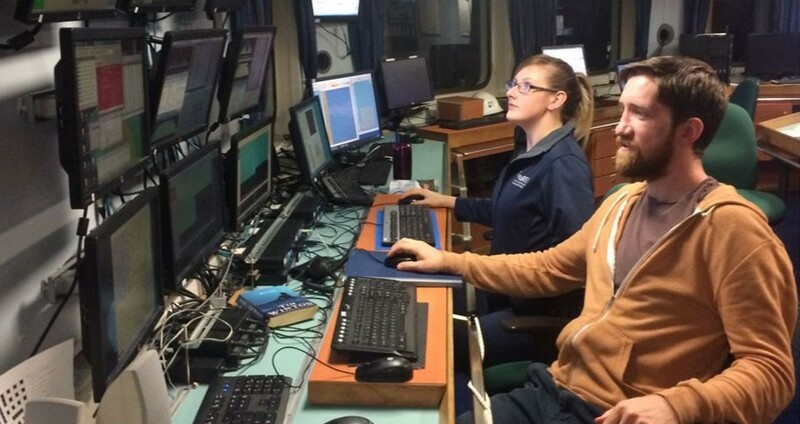 The sixteen day cruise aimed to map a portion of the seabed within Irish waters, approximately 80 nautical miles south of Cork, as part of the INFOMAR project. While on the cruise, Abi wrote some Marine Institute blogs describing why she was on the cruise and what it consisted of. So, think about it, there you are standing on Dublin port looking up at Ireland’s largest research vessel, the Celtic Explorer. You shuffle up the gangway with your bag slung over your shoulder after a friendly Donegal accent points you in the direction of the dry lab. As you walk into the room, colourful animations and flashing buttons jump out of the dozen or so monitors lining the walls. You hear the buzz of excited marine scientists from around the globe double checking their devices are in working order, as the smell of Tony and Gavin’s freshly made apple pie wafts up the stairs. You are one of two people given the opportunity to learn the skills of seabed mapping from the national experts. But how? Figure 1 – Left: Oisin McManus from the INFOMAR team in the dry lab. 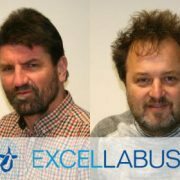 Right: Tony and Gavin – the chefs onboard the Celtic Explorer. Two applicants, John Skehan and Abi Cronin, were chosen to take part on the INFOMAR survey from July 21st to August 6th 2017 as part of the Training Through Research Surveys (TTRS) scheme. 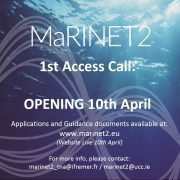 This initiative, collaboratively organised by the Strategic Marine Alliance for Research and Training (SMART) and the Marine Institute (MI), acts as a national capacity building exercise to raise the level of marine science in Ireland, while giving early career researchers the opportunity to network with and learn from experienced marine scientists. 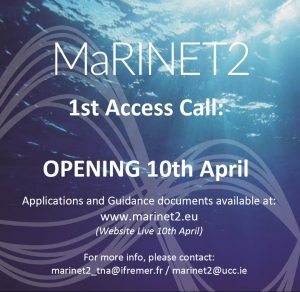 Participants gain valuable marine data collection and observation experience on dedicated research surveys with leading Irish and European marine scientists. 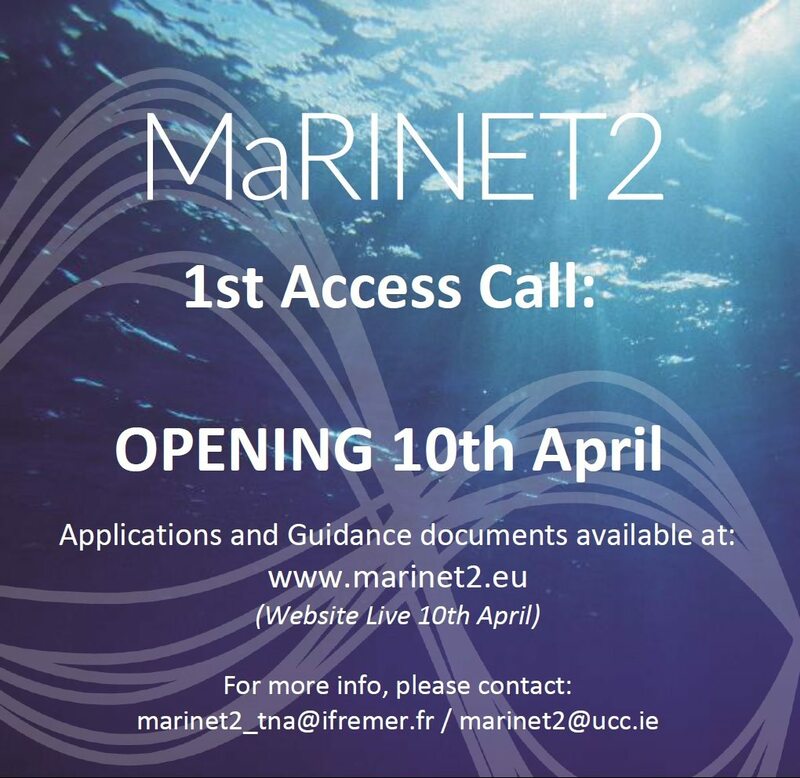 This programme is designed to provide mentored training for emerging marine scientists on surveys taking place off the western seaboard of Ireland and ranging as far as Newfoundland. 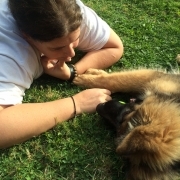 John and Abi come from very different backgrounds with John’s initial degree being in IT. 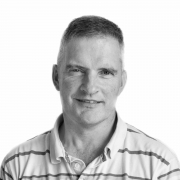 He recently completed an MSc in Geographical Information Systems & Remote Sensing at Maynooth University, and is currently working in the Surveying and Remote Sensing unit at Ordnance Survey Ireland (OSI). 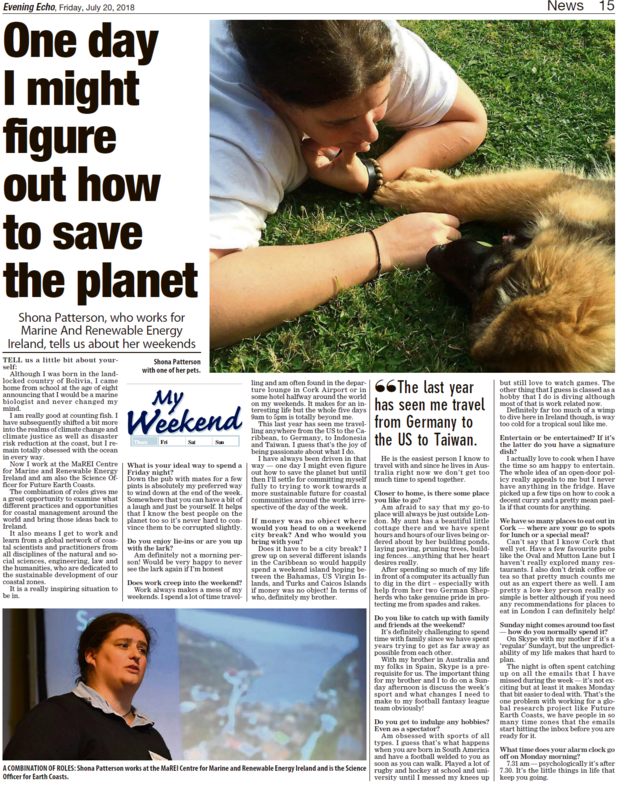 Abi has an MSc in Coastal and Marine Management from University College Cork, and works in the Earth Observation Group of the Centre for Marine and Renewable Energy Ireland (MaREI). 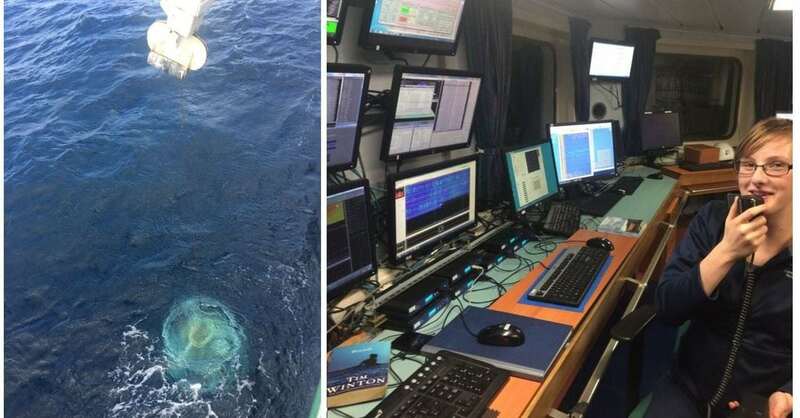 Both participants have a strong interest in mapping the seabed, however before this cruise they had very little experience actually collecting the data. This voyage allows them to throw themselves in the deep end and learn on the job. 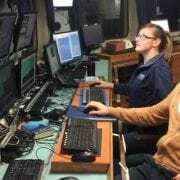 Onboard, Abi and John have undertaken quite an array of tasks, the most obvious being coordination of the three multibeam echosoudners: EM1002, EM302, and EM2040. While in charge of these devices, the scientists must know how to create new transect lines; look out for any anomalies in the data; activate lines for the ship’s autopilot; contact the bridge to inform the skipper of any line turns or change of plan; input Moving Vessel Profiler cast (MVP) data; as well as ensure the multibeam, backscatter and water column data is being stored appropriately. The scientists also took charge of communications and logistics for CTD (Conductivity Temperature Depth sensor) casts and sediment grab stations, ensuring all data was collected safely and efficiently. To keep the data organised, we log each MVP, multibeam line, grab and CTD both in digital and paper format. This includes keeping a logbook up to date, and working with different navigation and metadata software: QINSY and Multilogger. For more information on INFOMAR’s toolbox you can read the most recent blog here. The TTRS scheme increases the national marine science research capacity through coordinated use of national infrastructure and facilities. This opportunity has allowed John and Abi to develop their skills, add to their existing seagoing experience, and network with established professionals in seabed mapping and oceanography. I would like to take this opportunity to say a big thank you to SMART Sea School for making this all possible through the TTRS scheme. 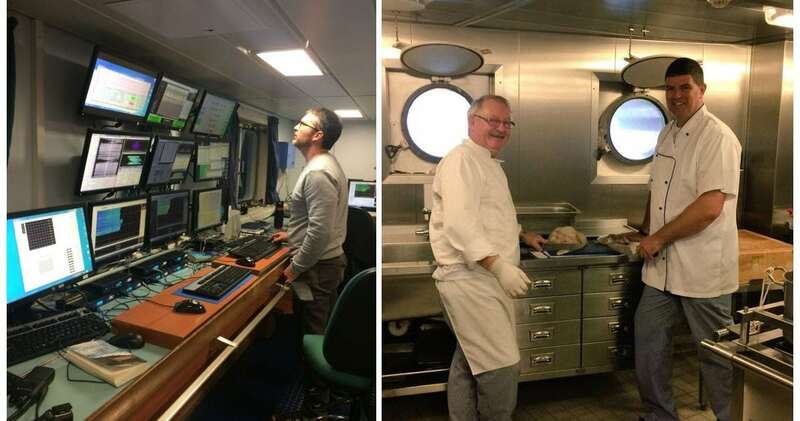 This was a fantastic chance to work with the INFOMAR team Oisin, Kevin & Slava, as well as the scientists from the University of New Hampshire and College of Charleston. It’s been a pleasure learning from people who are enthusiastic about their research. Last, but most certainly not least, a massive thank you to the crew for making this such an enjoyable experience. Always open to questions and happy to share your stories, you took us in and made us feel welcome. All in all, an enjoyable learning experience. I hope to work with you all again in the future. In the meantime, I’ll be putting the knowledge we’ve gained to good use in MaREI. Energy cannot be created or destroyed, but changed from one form to another. It’s the same with knowledge. 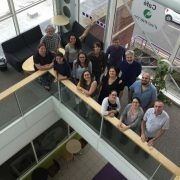 The story of renewable gas in Ireland, currently residing in academic journal articles and reports, was brought to life by ERI researchers and friends on a sunny Saturday morning in August. 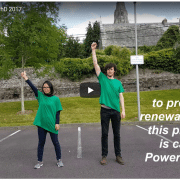 PhD candidate Aoife Long, of the Biofuels and Bioenergy Research Group, produced, directed and starred in a video to Dance her PhD. The video is an entry for the International Science Magazine Dance your PhD competition. This competition encourages researchers to explain their research through dance, with the aim to delight and inform the public. The winner will be decided by a judging panel who will consider scientific merit, artistic merit, and the creative combination of both. 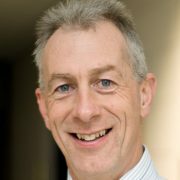 The Biofuels and Bioenergy Research Group, led by Professor Jerry Murphy, has pioneered the research on the potential sources of renewable gas in Ireland. The group is now looking at how this potential can be realised, along with future technologies such as Power to Gas. After the sweltering heat in Europe this summer, the cold snap of January 2017 seems a long time ago. 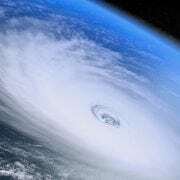 However a 2 week period in January serves as an important reminder of why it is important to consider multiple elements of the energy system when planning for the future. Here I look at the interactions between the electricity and gas systems and what happens if things don’t quite go to plan…. It was a cold one. Atmospheric conditions in Europe in early January were dominated by blocking conditions bringing warm air towards north-western Europe and cold air into southern Europe. This contributed to low wind and solar generation in most of mainland Europe. 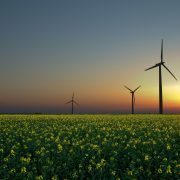 Wind power generation was down by 15-20% across central Europe compared to the previous year and solar generation was insignificant. Europe was still recovering from a dry end to 2016 which continued into the first quarter of 2017. This pushed hydro reserve levels to several year lows and coupled with freezing conditions limited hydro’s generation potential. The European power system was coming under pressure…however this was only the start of the challenge. 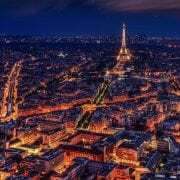 France was struggling with ongoing safety tests at nuclear facilities while limited nuclear capacity was also an issue in Germany. 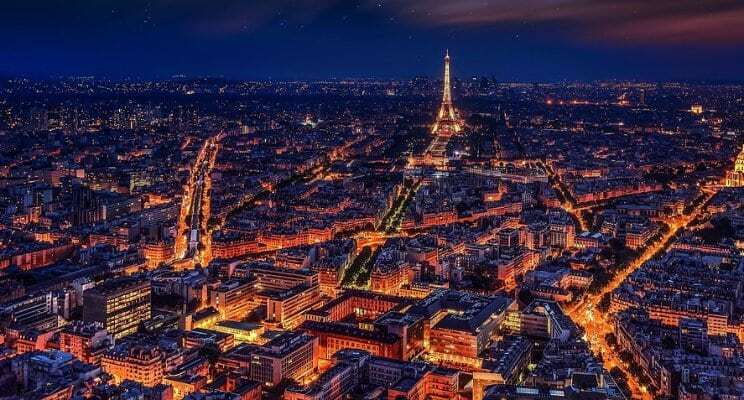 The 2GW IFA electricity interconnector between France and the UK was damaged during the winter Storm Angus and was now working only at limited capacity. For large parts of Eastern Europe the second week in January was the most extreme of the winter. Russia experienced the coldest Orthodox Christmas in 120 years, and temperatures dropped to almost -30°C in Romania. People needed heat, significantly increasing the demand for electricity and gas. Low availability of nuclear and low availability of renewables meant that conventional gas and coal fired generation filled the gap. Natural gas consumption in power generation in the EU reached the highest level in the last seven years in January 2017 (65TWh of electricity from gas). Coupled with increased gas demand for residential heating, gas storage facilities in central Europe saw big withdrawals of gas even as pipeline imports from Russia and Algeria increased. Equally coal imports from Russia and Columbia were up on previous years to meet extra demand from power generation. Thankfully, the cold snap resided towards the end of the month and the power system got through the crisis. Major electricity supply disruptions did not occur during the cold spell although several countries imposed export bans. Bulgaria imposed a 27 day long electricity export ban. 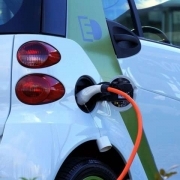 Retail electricity prices for household customers in central Europe went up by 1.8%. Some regions like Ireland, UK and Nordic Europe were relatively spared from the cold weather and wholesale prices remained at moderate levels in January. In short, it was a close call. Our Research in UCC is looking at these issues. 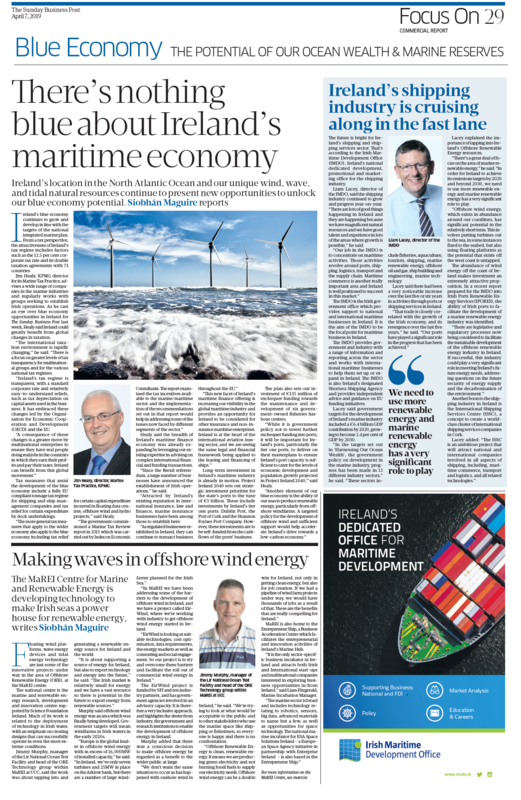 We are trying to understand these challenges across Europe as we transition to power systems with more weather dependant generation and fossil fuel imports from abroad. We use the PLEXOS Integrated Energy Model to understand how future gas and electricity interactions in Europe might impact market prices, security of supply and emissions. Our Existing analysis shows how supply interruptions of gas, gas storage and LNG availability can impact electricity prices. 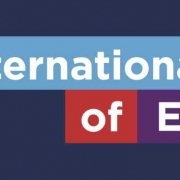 Our EU integrated gas and electricity models are freely available from Energy Exemplar who also provide PLEXOS for academic and commercial users. In the future we hope to add water interactions to these models. If you’re interested in this area of research or would like collaborate or use our models, please feel free to get in touch. 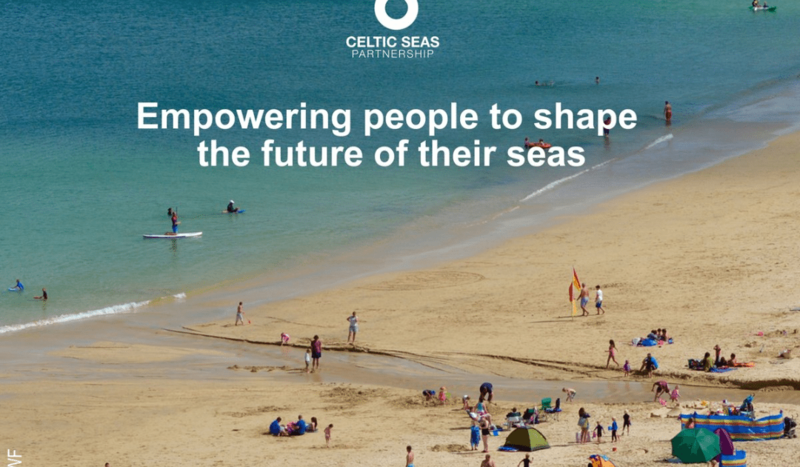 The Celtic Seas Partnership was an international project funded by LIFE+, the EU’s funding instrument for the environment. 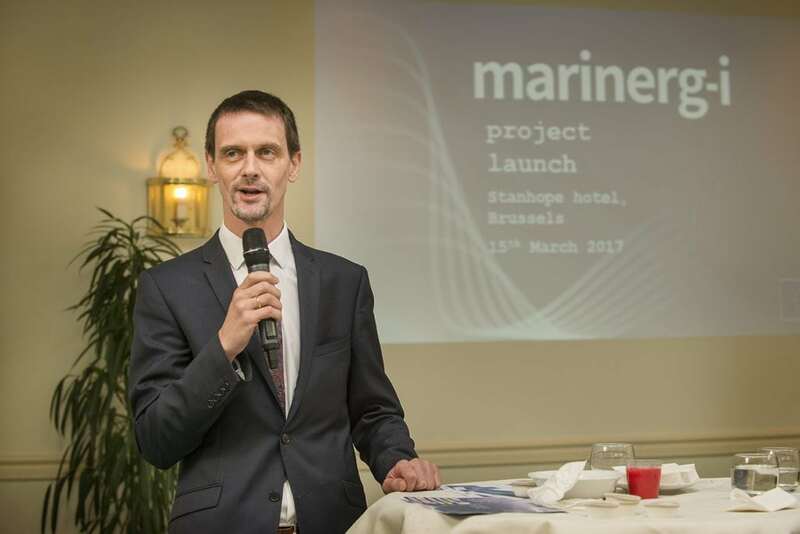 It brought together, governments, sea-users and scientists to find new ways of managing the marine environment to secure a sustainable future for our valuable marine economy and to protect our precious seas. 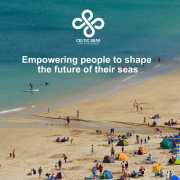 Over the past four years, the WWF-led Celtic Seas Partnership has been bridging the links between marine stakeholders and policy, building key relationships and developing a toolbox of resources to support the management of the Celtic Seas. 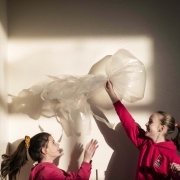 University College Cork’s MaREI Centre coordinated the stakeholder engagement activities in Ireland through a series of two national and three international workshops from 2013- 2016. 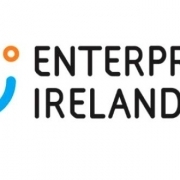 The final event took place in Croke Park, Dublin in October 2016, attracting over 100 delegates representing a wide range of sectors across the Celtic Seas. Cronin (Dept. 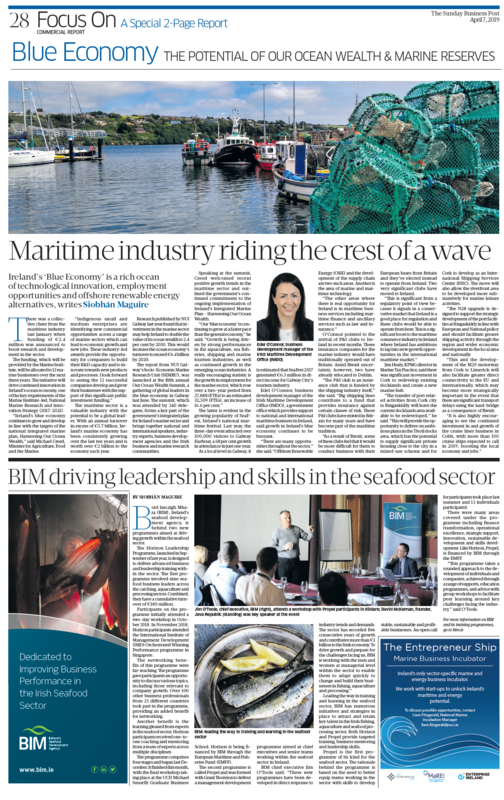 of Housing, Planning, Community and Local Government) and Dublin-based Catherine Barrett (BIM). Don’t forget to sign up for the newsletter to keep in touch! For many years jellyfish were a forgotten component of marine ecosystems, described in a rather derisory way as a “trophic dead end” and therefore not really worthy of consideration. This was quite the fall from grace, considering jellyfish had at one time, occupied the minds of some of history’s most influential naturalists. Charles Darwin, Thomas Huxley and Ernst Haeckel to name just a few were fascinated by these delicate creatures that might help them explain the mysteries of evolution and the radiation of different body forms. 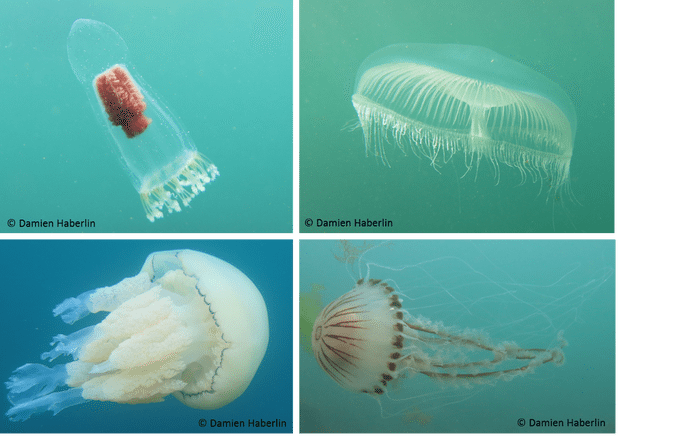 Top left, Leuckartiara octona; top right, the crystal jelly Aequorea forskalea; bottom right, the compass jelly Chrysaora hysoscella; bottom left, the barrel jelly Rhizostoma octopus. In the last 30 years or so, there has been a renaissance of sorts in jellyfish ecology and we now know that they contribute significantly to marine ecosystems. Jellyfish can be voracious predators, consuming a variety of zooplankton including crustaceans, fish eggs and larvae and indeed other jellyfish. 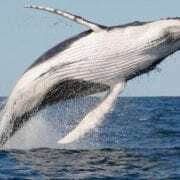 In this way, they compete directly with many fish species which rely on the same prey species as jellyfish. When conditions are favourable some species can bloom to enormous densities and come to dominate an ecosystem, significantly reducing the food available for other species. What exactly constitutes favourable conditions is not fully understood and undoubtedly varies from species to species, but jellyfish are well placed to thrive when ecosystems are pushed beyond tipping points. This is perfectly illustrated by events in the Black Sea during the 80s and 90s. Ctenphore species Beroe sp. taken by a diver off the Cork coast. 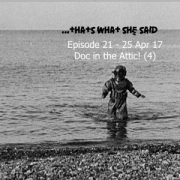 In the early 80s the Black Sea was a heavily populated and overfished body of water. It received catchment waters from a region of unregulated industry and intense agriculture within the former USSR territories, leading to eutrophication. 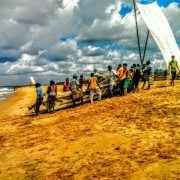 All the bordering countries had competed over the highly prised sardine fishery with little attempt at cross border management of the resource, leading to vast reductions in fish numbers. At some point the ctenophore Mnemiopsis leidyi was accidentally introduced into the Black Sea and was able to thrive; feeding on crustaceans, fish eggs and larvae, the Mnemiopsis population exploded with catastrophic impacts on the fish and zooplankton abundance. Without a natural predator, Mnemiopsis dominated the region and spread into connected water bodies. Ironically, the introduction of another ctenophore Beroe ovata, which preys on other ctenophores, began to control Mnemiopsis abundance to some degree, allowing the ecosystem to partially return to the earlier regime. 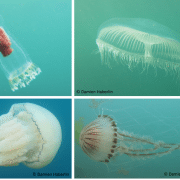 The events in the Black Sea are complex and teasing them apart in hindsight is difficult, however, they highlight the ability of jellyfish to respond quickly to changes in an ecosystem. They also demonstrate that although the ecosystem changed rapidly, its resilience was probably eroded over a period of decades before being tipped over into a vastly different jellyfish dominated ecosystem. 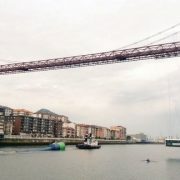 The events in the Black Sea represent something of a worst case scenario and there is little evidence that it has been replicated elsewhere, least of all in the Celtic Sea. 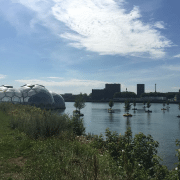 However, it does demonstrate that large scale ecosystems can be forced to change, whether that forcing comes from anthropogenic or natural sources. We can use our improving knowledge of jellyfish ecology to look at long-term datasets of jellyfish abundance in the Celtic Sea and try to spot changes in the ecosystem. Some species common in the Celtic Sea have multiple generations in a season and therefore they respond quickly to environmental changes, making them something of a sentinel species. In addition, we will use recent research cruises in the Celtic Sea to investigate the summer jellyfish abundance in the region. While this sampling only gives us a single snapshot in time, that snapshot extends over a large and complex water body with distinct water masses. Analysing the zooplankton community and abundance within these changing water masses can reveal important insights into changing zooplankton ecology. 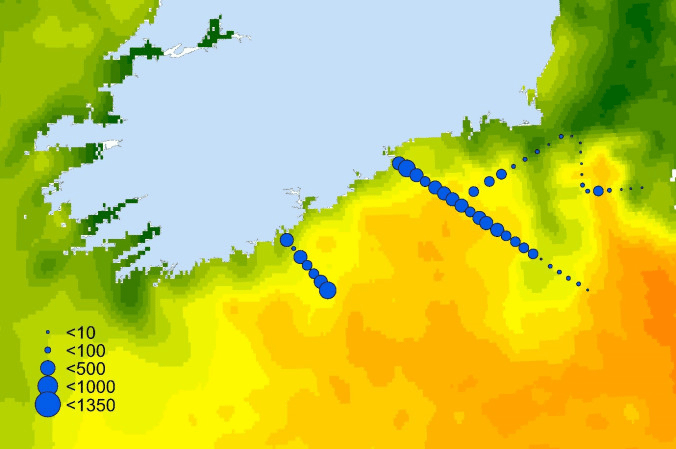 Surface temperature during July 2015, with total jellyfish per cubic metre sampled at each station, showing the heterogeneous distribution of jelly fish across the area sampled. 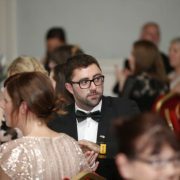 Damien Haberlin is a PhD Researcher with the Centre for Marine and Renewable Energy (MaREI) based in University College Cork. 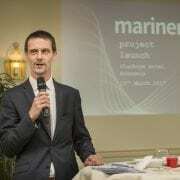 On the 10th of December applicants from eighteen different countries travelled to Bremerhaven to participate in the opportunity to train in marine research on board a German research vessel. The overall goal of the program is to allow early career professionals to learn more about practical marine science and it’s link to climate change. The educational program focused on different topics including oceanography, remote sensing, ocean law, the ocean’s role in climate change, and scientific art. 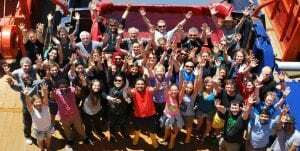 We were rocked to sleep every night for one month on board the RV Polarstern travelling from Bremerhaven to Capetown, with a brief stop off in Las Palmas. The multidisciplinary approach allowed for a rich array of weather, climate, atmosphere and ocean research and measurements. This encouraged us to build a network of contacts from several different backgrounds. 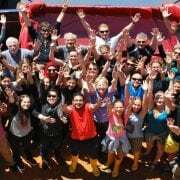 Various social nights were held to encourage this networking, including a BBQ as a reward for making it through the equator baptism, where we were put through our paces in the name of King Neptune. Participants measured ocean temperature, salinity, oxygen, chlorophyll and pH using an XBT (Expendable Bathythermograph), CTD (Conductivity, Temperature and Depth), UCTD (Underway CTD) and various lab analyses including flow cytometry. This enabled us to gain skills in offshore data collection with instruments a lot of us previously had no experience using. By mapping our measurements along the north-south transect of the Eastern Atlantic we could identify water masses by their characteristic temperatures and salinity. 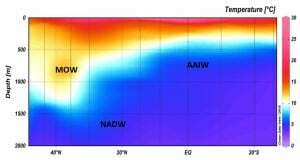 Below we can see three water masses identified along the transect, these include the Mediterranean Outflow Waters (MOW), the Antarctic Intermediate Waters (AAIW), and the North Atlantic Deep Waters (NADW). This research is key to observing the ocean and atmosphere’s role in climate variations, it allows us to explain weather patterns and build more accurate predictive models. Ultimately, this research helps us to understand climate change. I would like to thank all the sponsors of the NoSoAT Program for giving me this opportunity of a lifetime. I thoroughly enjoyed the experience, and it has fuelled my ambition to investigate the oceans through offshore measurements. 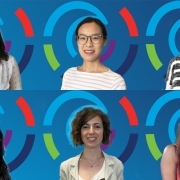 Abi is a Research Assistant in the Earth Observation Group of MaREI. She graduated from UCC with a MSc in Coastal and Marine Management in February 2016, and joined the MaREI team the same month. 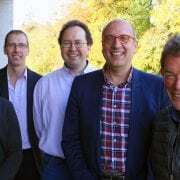 At the moment, Abi is working on the ESA funded CINMarS and EODAT projects, as well as the H2020 funded Co-ReSyF project. She is extremely interested in offshore measurements and data.